2nd Battalion, 1st Regiment, First Special Service Force clears German coastal defences on the Îles d’Hyères on the eve of Operation Dragoon August 1944. Play Mode = Allied vs Axis AI only. Mission Length = 3 hours 30 minutes. 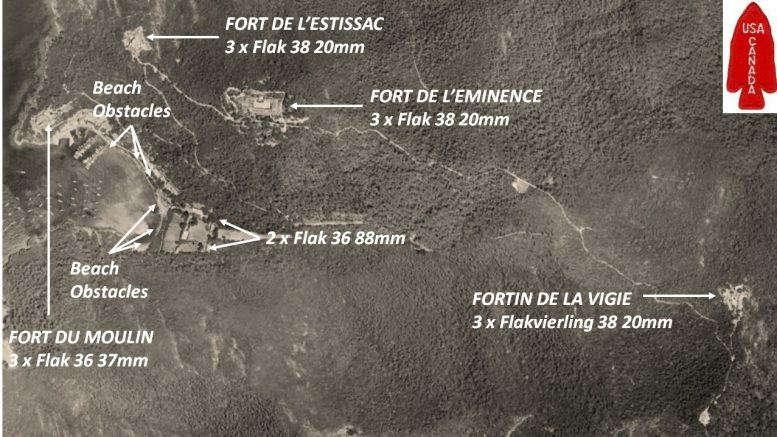 On 15 August 1944, elements of the First Special Service Force assaulted and cleared German coastal defenses located on the Îles d’Hyères to neutralize the threat to the main amphibious force landings for Operation Dragoon (landings in the south of France. In this mission you will assume the role of CO 2nd Battalion, 1st Regiment, First Special Service Force tasked with neutralizing the defences of Port Cros comprising mostly of four forts constructed between the middle ages and the Napoleonic era. The map reflects the real ground but the forces involved are not exactly those used on the day so the 15-inch guns of HMS Ramillies which finally induced the Germans to surrender are not in this scenario. You will have to achieve your mission much more quickly than the original attackers but rest assured that you have more than enough time to complete this mission. Vale 32211556 Tec Fourth Grade Reynold J. King Silver Star, KIA 15 August 1944. 1 Comment on "Assault on Port Cros"